Indonesian search teams Tuesday recovered more remains at the site of a crashed Lion Air jet that plunged into the sea with 189 people aboard, as a report said it had suffered an instrument malfunction the day before. The Boeing-737 MAX, which went into service just months ago, crashed into the Java Sea moments after it had asked to return to Jakarta on Monday. Flight JT 610 sped up as it suddenly lost altitude and then vanished from radar 13 minutes after take-off, with authorities saying witnesses saw the jet plunge into the water. Dozens of divers are taking part in the recovery effort. Search teams have filled ten body bags with limbs and other human remains, Muhammad Syaugi, head of the Indonesian national search and rescue agency told Metro TV, saying they will be taken to Jakarta for identification and DNA testing. The remains of a baby were among those found, according to national deputy police chief Ari Dono Sukmanto. Another 14 bags filled with debris have also been collected. Shoes, items of clothing and a wallet are among the items found. 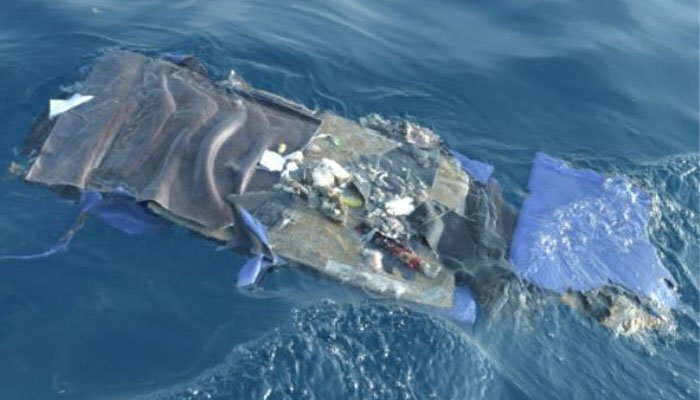 “We hope we can see the plane´s main body — everything on the surface of the water has been collected,” Syaugi said. Indonesia´s National Transportation Safety Committee (NTSC) said there were 178 adult passengers, one child, two infants, two pilots and six cabin crew on board flight JT 610. Among them were the plane´s Indian captain, 20 Indonesian finance ministry employees and Andrea Manfredi, an Italian former professional cyclist. The search and rescue agency all but ruled out finding any survivors late Monday, citing the discovery of body parts that suggested a high-impact crash in water some 30-40 metres deep off the coast of Indonesia´s Java island. “We are prioritising finding the main wreckage of the plane using five war ships equipped with sonar to detect metal underwater,” said Yusuf Latif, spokesman of the Indonesian search and rescue agency. 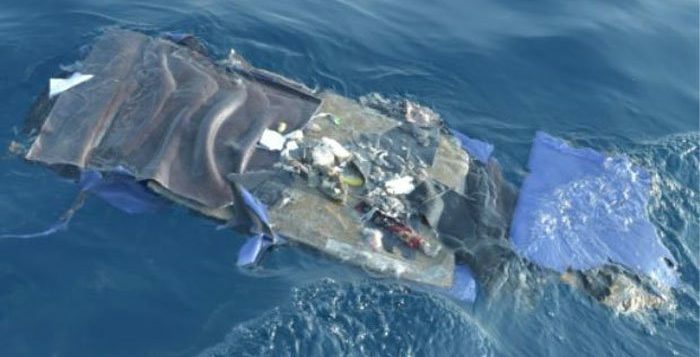 Both the cockpit voice recorder and the flight data recorder — which could be key pieces of evidence — are still missing. The plane had been en route to Pangkal Pinang city, a jumping off point for beach-and-sun seeking tourists on nearby Belitung island, when it dropped out of contact around 6:30 am (2330 GMT). Lion Air said the plane had only gone into service in August. On Monday, Lion Air chief Edward Sirait acknowledged the plane had an unspecified technical issue fixed in Bali before it was flown back to Jakarta, calling it “normal procedure”. A technical logbook detailed an “unreliable” airspeed reading instrument on the Bali-Jakarta flight on Sunday and different altitude readings on the captain and first officer´s instruments, according to the BBC. Copies of several Lion Air technical documents have been circulating on social media, but they could not be immediately confirmed as authentic. The company did not return phones calls seeking comment. Boeing suspended release of the 737 MAX just days before its first commercial delivery last year due to an engine issue, according to airline safety and product review site airlineratings.com. It said the engines were a product of a joint venture between US-based General Electric and France´s Safran Aircraft Engines. Lion Air, Indonesia´s biggest budget airline which has been engaged in huge expansion, announced earlier this year it was buying 50 Boeing 737 MAX 10 jets for $6.24 billion. Indonesia´s air travel industry is booming, with the number of domestic passengers growing significantly over the past decade, but it has acquired a reputation for poor regulation and its airlines had previously been banned from US and European airspace. Lion has been involved in a number of incidents including a fatal 2004 crash and a collision between two Lion Air planes at Jakarta´s Soekarno-Hatta airport.